Hotel Astoria is set in a tranquil location in the surfer’s paradise of the Bay of Campagnola. 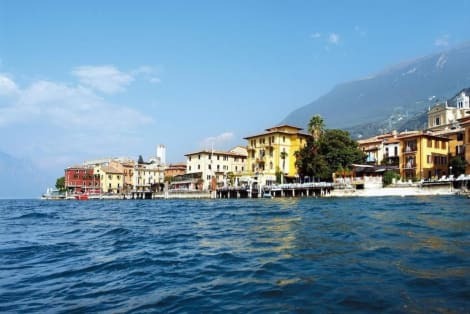 This is the ideal place to relax and enjoy your holiday on Lake Garda. Located on the shore near Malcesine, the Astoria’s unbeatable position provides spectacular views onto the lake from the terrace. The Hotel Astoria is a great choice for surfers, with a storage area for boards and surfing equipment. The hotel also features large gardens and a swimming pool. The courteous staff at this family-run hotel will ensure your stay is pleasant. All guest rooms have a balcony with a superb view over the lake or gardens. During summer the hotel may only be bookable for long stays of 5 or more nights. Make yourself at home in one of the 47 air-conditioned rooms featuring flat-screen televisions. Complimentary wireless Internet access keeps you connected, and digital programming is available for your entertainment. Private bathrooms with showers feature complimentary toiletries and bidets. Conveniences include desks, and housekeeping is provided daily.